The tagline says it all: “We had twenty years to prepare.” And after all the waiting, this is the sequel we get, a bloated, lumbering, obscenely stupid movie that takes its predecessor’s legacy and repeatedly takes a dump on it. It’s a movie that insults the audience’s intelligence, and patience, at almost every turn in its efforts to tell the kind of half-baked story that should have been abandoned at the earliest stage possible. 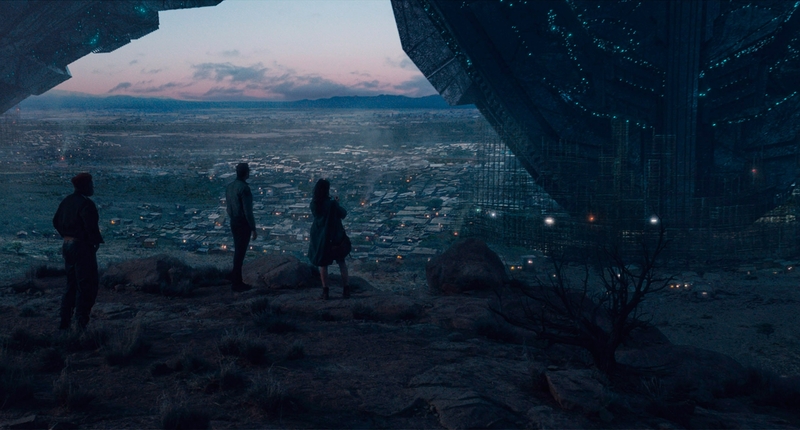 It took five people to pen the screenplay, two of them Emmerich and his long-time producing partner Dean Devlin, and it shows in the way that no two scenes run together seamlessly or with any sense of on-going purpose. 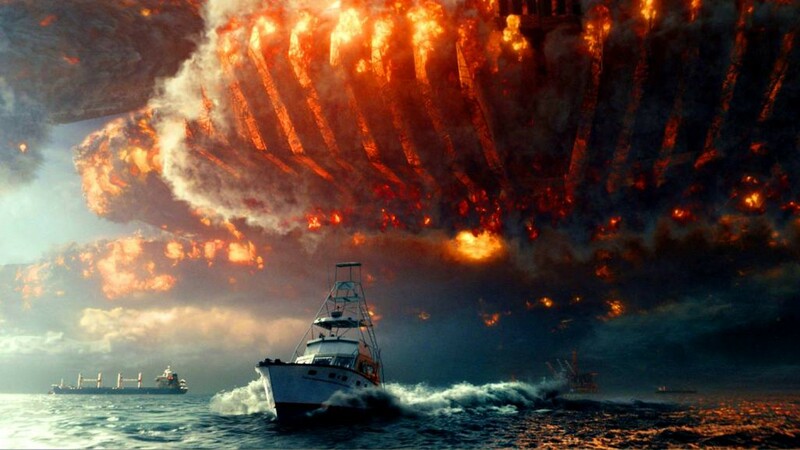 Make no mistake about it: Independence Day: Resurgence is not worth your time. The signs are there early on. Ex-President Whitmore (Pullman) is having dreams that anticipate the aliens returning. Once awake he’s plagued by a vision of an image he takes to be another of the aliens’ spaceships. Meanwhile, in Africa, a tribal warlord Dikembe Umbutu (Oparei), is visited by David Levinson (Goldblum), but there’s no reason given for Levinson’s being there. When Umbutu takes him to the site of a crashed alien spaceship they discover that it’s been sending out a distress call. Uh oh, we all know what that means! All these characters flit in and out of the narrative, adding little beyond their required presence at various points, and only occasionally making an impact. Even Levinson is sidelined by events, while Whitmore fills the role of this movie’s Russell Casse, and President Lanford proves expendable in a sequence that comes and goes without making audiences feel anything other than apathy. Even the movie’s principal hero, Jake, is cruelly underwritten, leaving Hemsworth in the unenviable position of playing a role that highlights his shortcomings as an actor. With the likes of Monroe, Usher and Fichtner reduced to the status of bit part players, the movie ignores its cast for the most part and concentrates on providing more spectacle than you can shake a giant spaceship at. It’s while Emmerich piles on the destruction that the tagline for Gareth Edwards’ reboot of Godzilla (2014) springs to mind: “Size does matter.” For as the director gets carried away crashing an enormous spaceship into the North Atlantic, and displacing Singapore only as long as it takes to float it halfway around the world and drop it on London, the message comes across loud and clear, that this movie is better because it’s bigger, both in scope and special effects. But it’s all soulless and uninvolving, populated by whizz-bang dogfights and lacklustre retreads of moments from Indepedence Day that only serve to remind viewers just how enjoyable that movie was, and still is. 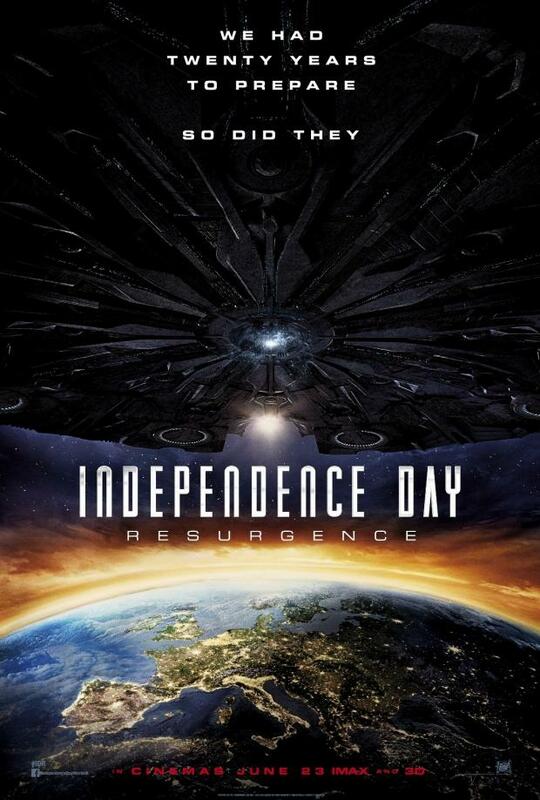 And where Independence Day kept its laughs to a minimum, its bloated but thankfully shorter sequel adds humour and silliness by the bucket load, largely whenever Okun or Floyd is on screen, and in the plethora of one-liners sprinkled throughout the script. This may have seemed like a good idea at the time but this reliance on making the audience laugh undercuts the seriousness of the situation, leaving the movie feeling uneven and, sometimes, crass in its efforts to entertain instead of having us on the edge of our seats. The world is about to end, but that’s okay, here comes Brent Spiner with another less-than-pithy wisecrack. That this is so woeful proves the old adage, penned by William Goldman, that in Hollywood, “nobody knows anything”. If they did, then Messrs Emmerich and Devlin wouldn’t have transferred such a dreadful script to the screen and attempted to pass it off as a worthy successor to the movie that made both their names. Where Amy Schumer appeared in a movie called Trainwreck (2015), it wouldn’t be inappropriate for this farrago to be re-titled Spaceshipwreck – it’s a far more apt description. 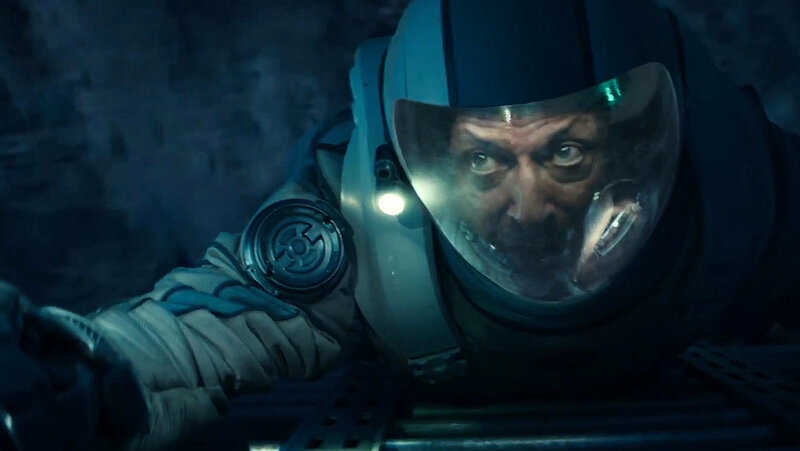 Rating: 3/10 – without a doubt the worst – so far – of this year’s summer blockbusters, Independence Day: Resurgence lacks apppreciable thrills, appreciable drama, appreciable tension or emotion, and any clear idea of the story it wants to tell; frustrating on so many levels, it’s a movie that consistently defies belief, and does the one thing the viewer will be praying it won’t do: set things up for another sequel.